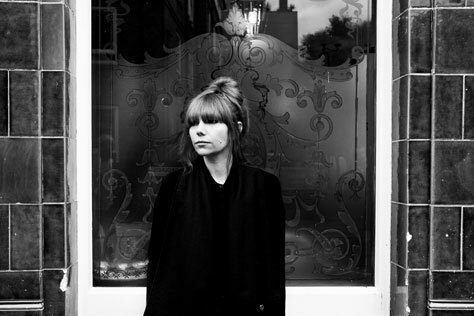 We’re delighted to be welcoming pianist/composer Poppy Ackroyd back – this time, to St Michael’s! In February 2018, breath-taking post-classical artist Poppy Ackroyd released her first full-length album with One Little Indian Records, Resolve. A classically trained pianist, violinist, producer, and composer, Ackroyd turned heads in the neo-classical world with her previous works Escapement and Feathers, as well as her involvement in Hidden Orchestra (Tru Thoughts). However, Resolve saw Ackroyd receive global acclaim from critics and new fans alike, with a sold out Barbican show and then another at Southbank Centre’s Purcell Rooms to boot. The unique musician returned at the start of the year newly signed to Bjork’s label One Little Indian Records, fresh off the back of an acoustic mini-album Sketches and set to release her brand new self-produced full-length record – her most ambitious and progressive piece of work to date. On opening track Paper, the musician creatively recorded and manipulated experimental beats, born from using paper over piano strings. The principal melody on Stems was created using a combination of pianino (a very small toy piano) and wine glasses. The piece sound-tracked a Bafta-winning short animation by Ainslie Henderson. Trains, the lead single from the album, simulates the sounds, movement, speed and changing scenery of a train journey. The track’s accompanying time-lapse video has won 12 awards, including the Gold Movie Awards and South London Shorts.